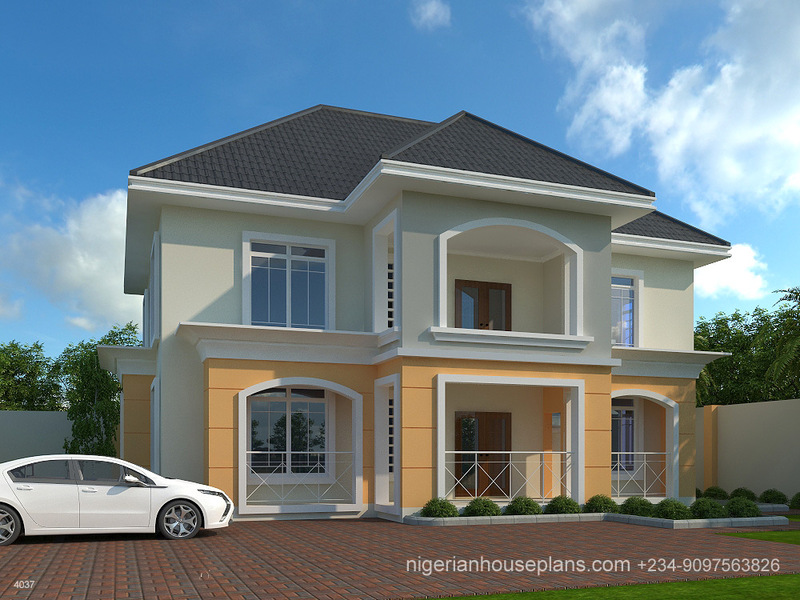 beautiful, design, duplex, home, house, modern, Nigeria. Bookmark. May i get a rough estimate for this house, But as a five Bedrooms With higher DPC level. And the size of the area needed. also what Details comes with the plan. Thanks in anticipation. Dear Pius, the estimate for this if made 5 bedroom and size of area needed will be sent as requested. Regards. Regarding this building ref; 4037, I would love to have this built for me but 5 instead of 4 beds. Please what is the rough estimated cost to build this in NR and Cedis. And also how much is the cost for the plan as a 5 bed and other adjustments, please! Dear John, Yes the plan can be modified into a 5 bedroom. A rough estimate will be sent as requested. This is beautiful! Please send me the plan for both floors. Dear Samuel, Thanks for the compliment. There are 4 bathrooms (for each room) and one guest WC. Dear Ramatoulie, this design has no garage.If you mean car parking detached from the building, Yes it does. Dear Bashir, thanks for the compliment. 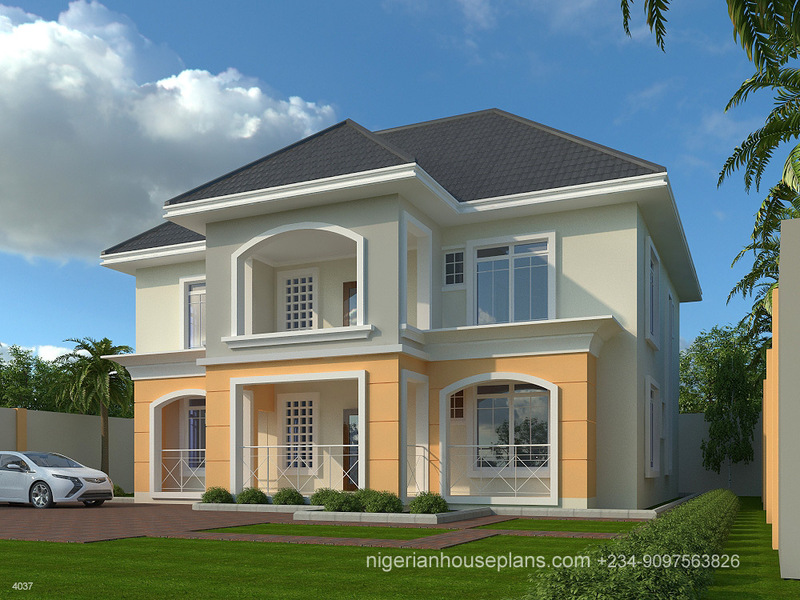 The rough estimate to build this is roughly 18 million Naira. 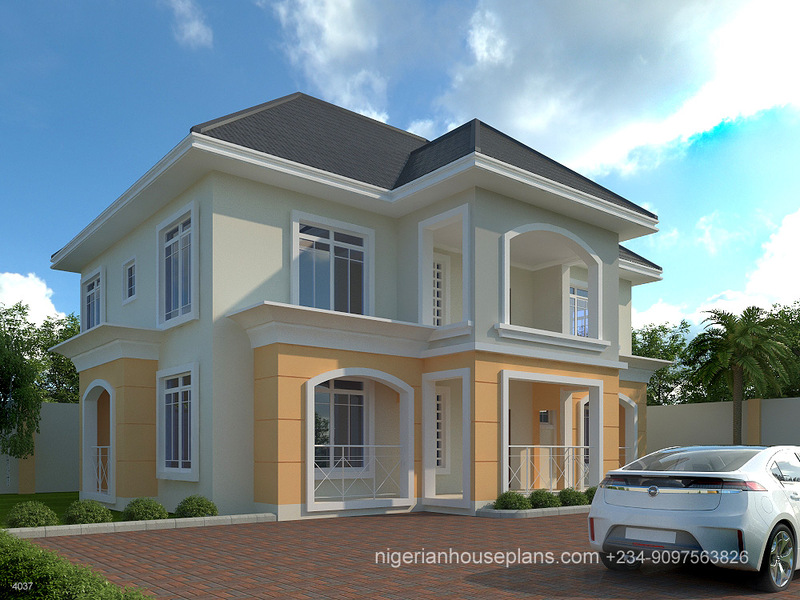 Please may i have a look at both lower and upper floor plan of this house???? Dear Mr Peter, The rough estimate will be sent to you.Thanks. Please let me have the internal configuration and the cost. Thank you. Rough cost estimate has been sent to you via email.Regards. Dear Mr Olabode, Rough estimate sent. Thanks. Dear Mr Yinka, A rough estimate has been sent to you.Thanks. Dear Daniel, Rough estimate has been sent to you via mail. Thanks.